Styrofoam is widely used because cheap and disposable, if not entirely recyclable. 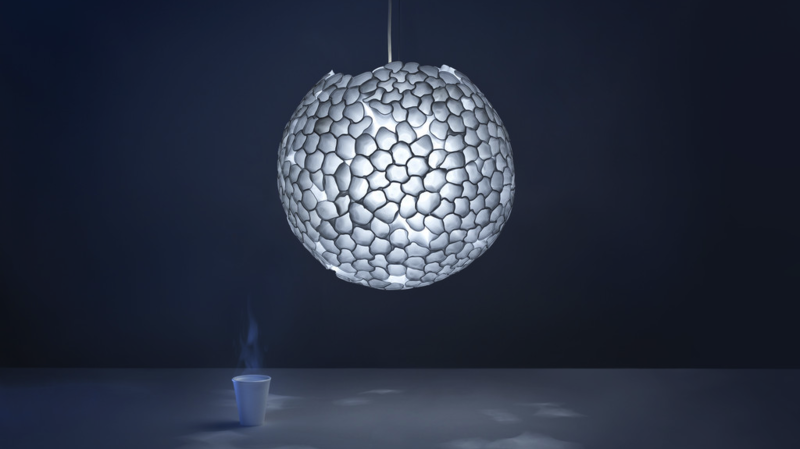 But when you heat-shrink it and fashion it into a giant ball, its value skyrockets to $US700. High concepts! Designer Paul Cocksedge originally created the Styrene lamp when he was in school 10 years ago, and now he has released it to the masses. Centered around a fluorescent bulb, holes are intentionally left open for light to escape and create strange shadows against any surface it illuminates.